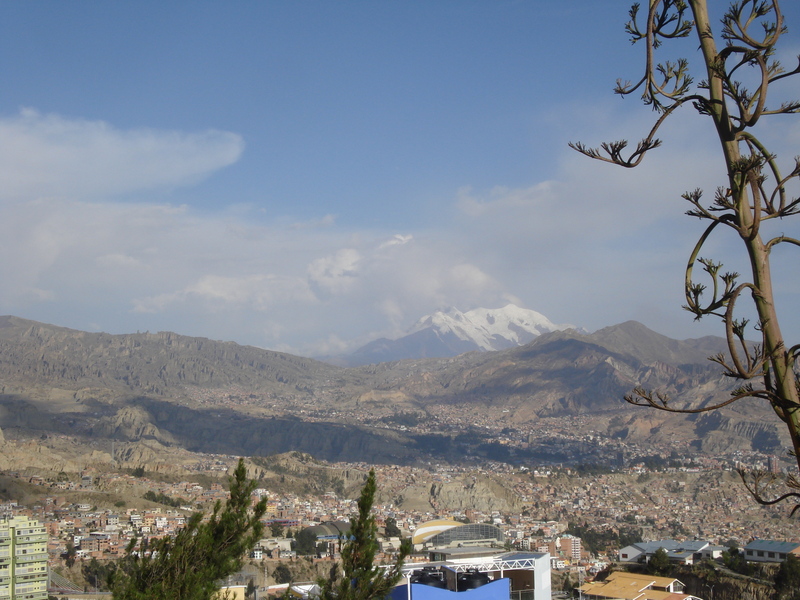 For my birthday, I had the fantastic opportunity to visit La Paz, Bolivia, on the cheap. he proceeds to let everyone else go through the line, and then takes me and my visa-less passport down to the tiny immigration office. He’s a young guy and clearly doesnt know how to handle issue. Every other american who’s ever come through was smart enough to check the visa requirements before they showed up, dumb gringo smile smeared across their face. He points me to a poster on the wall, quite pleased to have a solution, given that its in both English and Spanish. It lists like 6 or 7 required steps for being granted a simple stupid tourist visa. Of course i have none of them, including a yellow fever vaccine. In case I hadnt picked up on it he points out, “look, its in English too!” as if its now all fixed. I tryto explain that I have no letter of invitation, or required stamped form number 47#8b*@!%rQ or anything else really other than a sad/pathetic puppy dog face, and the worried look comes back. I should put in a disclaimer at this point: no, i did not do the simple step of researching visa requirements before getting on the back of that Condor. But, before this day i have been to a previous 11 Latin American countries , none of which required a visa before arrival. You simply show up, shiny green dollars in hand, pay up at the airport and go on your merry way. So my little friend gets on the phone with various supervisors, trying to come up with a solution. I’m pretty worried at this point. I only have an hour layover, and i know its the last flight out of this tiny airport. And Im thinking to myself, What do we do with undocumented immigrants when they show up in the US? Well, i remember from my social work classes, we generally send them to a containment camp for a couple weeks or months and eventually stick them on a bus back to wherever home is. not exactly comforting. I must have looked really concerned, because my new friend kept assuring me it would all be figured out. I wasnt so sure how much to believe him, though, especially listening in on his conversations with the supervisor. “Si o si, tiene que tener una visa para entrar a Bolivia!! !” (yes or yes, she must have a visa to enter Bolivia), and then the proposed solution that I leave my passport with them in that office, go onto La Paz, do all the paperwork there, and then pick up my passport on the way back. In the end, the Bolivian government was more than happy to take my money, plus a bit extra for their trouble, provided i simply sign a sheet of paper saying if i was to get yellow fever, well, they warned me, so it was my own damn fault! made those 20 hour bus rides i had taken around Argentina seem like little more than easy nap time…if it means skipping immigration, next time I’ll take the condor! Recuerdo cuando me contaste esta anécdota en casa, a la vuelta de tu viaje!! Previous Previous post: A real Gaucho rodeo!